Indian Council of Agricultural Research is presently having a 01 vacancy for the post of Skilled Support Staff. 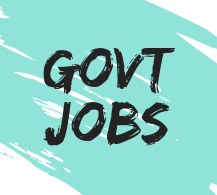 There is a latest govt jobs in ICAR Krishi Vigyan Kendra, Pathanamthitta, Kerala for the matriculation / ITI / 10th pass candidates with notification and apply online link. Education Qualification → 10th Pass / Matriculation / ITI / Equivalent. To apply, candidate must see the notification. Because interested candidate has to apply through offline medium. Application fees → Demand draft of 300 Rupees in favour of ICAR-Krishi Vigyan Kendra payable at SBI, Kumbanad.